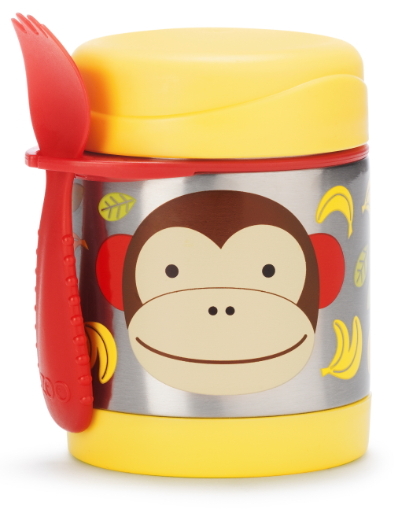 Keep food warm or cold with a Skip Hop Zoo Insulated Food Jar! Suitable for ages 12 months old and up. My daughter uses this for Jk lunches. Easy for her to open, keeps the food warm and comes back empty - success for me! 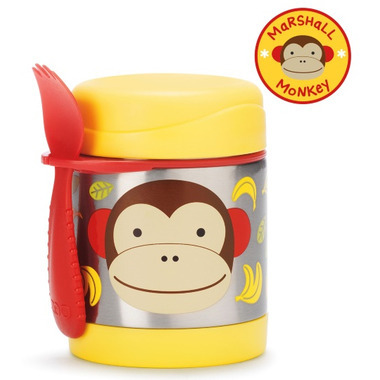 Really good thermos for kids warm meals. There hasn't been a leak yet. 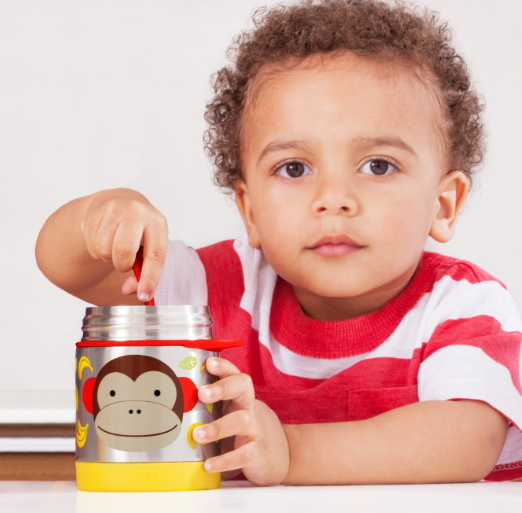 Good size jar for a toddler lunch. My only complain is that the spork cannot get to the bottom of the jar easily because it is short.